Engines: Two Klockner-Humboldt-Deutz SBV 12M 350 diesels. Two 14-cyl, B&W 9L32/36 diesels. April 29th 1970: Delivered to Ab Slite/Rederi Ab Volo, Slite at a cost of £1.8 million. 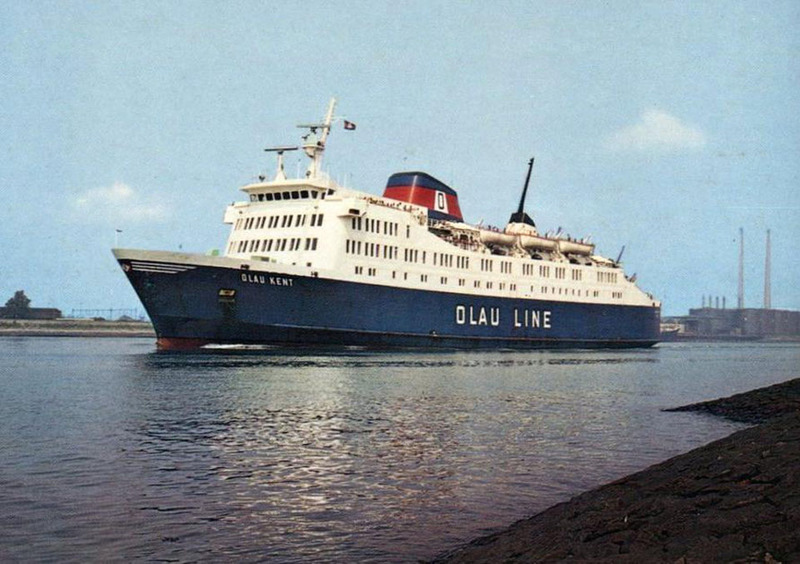 May 1st 1970: She paid a show visit to her home port of Slite. 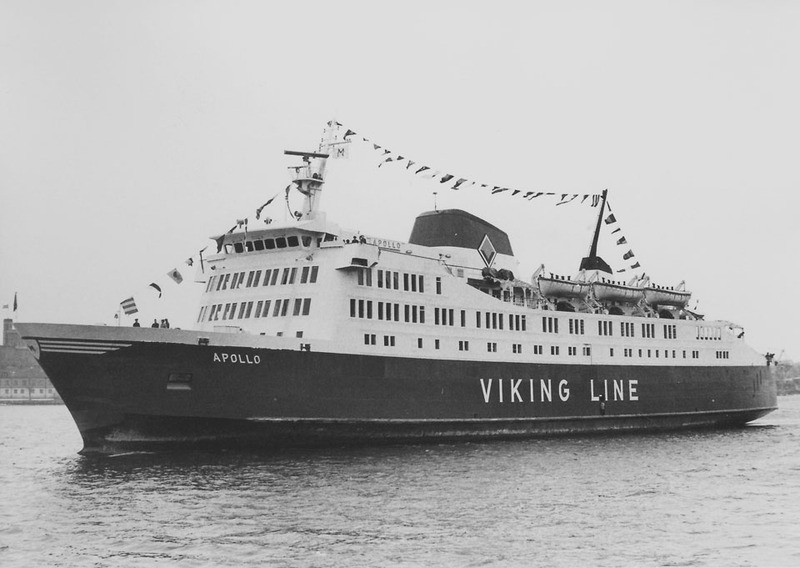 May 2nd 1970: Introduced by Viking Lines between Kapellskär – Mariehamn – Nådendal. November 10th 1971: Acted as “the victim” in a large sea rescue exercise off Kapellskär. 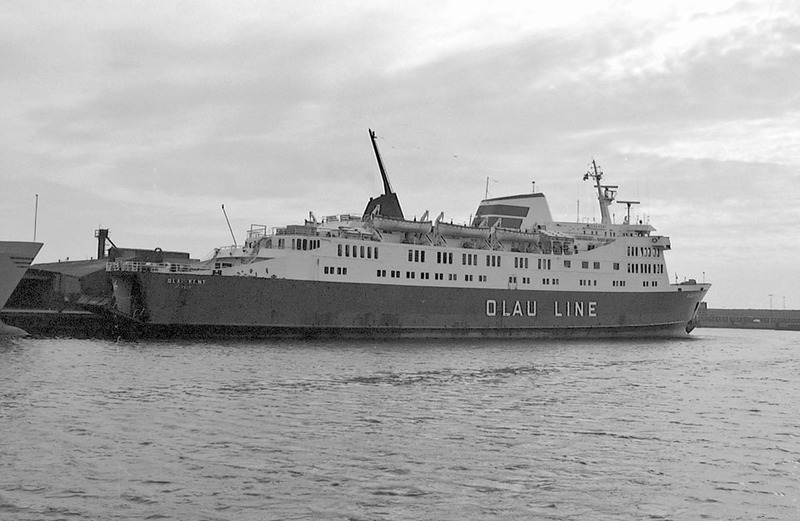 March 18th 1972: Went to the aid of trawler GAIA which sank in the pack ice in the Åland Sea. By lowering her stern ramp APOLLO rescues three men from a rubber raft. 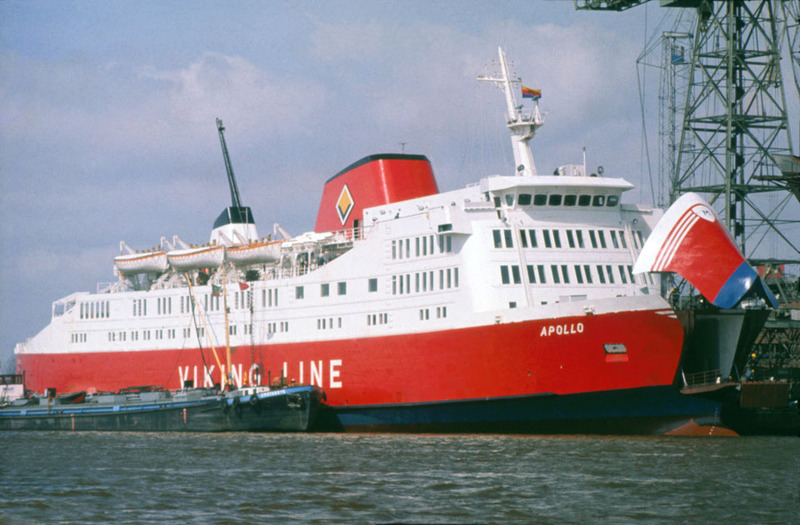 1975 (Autumn): Services between Stockholm – Mariehamn. 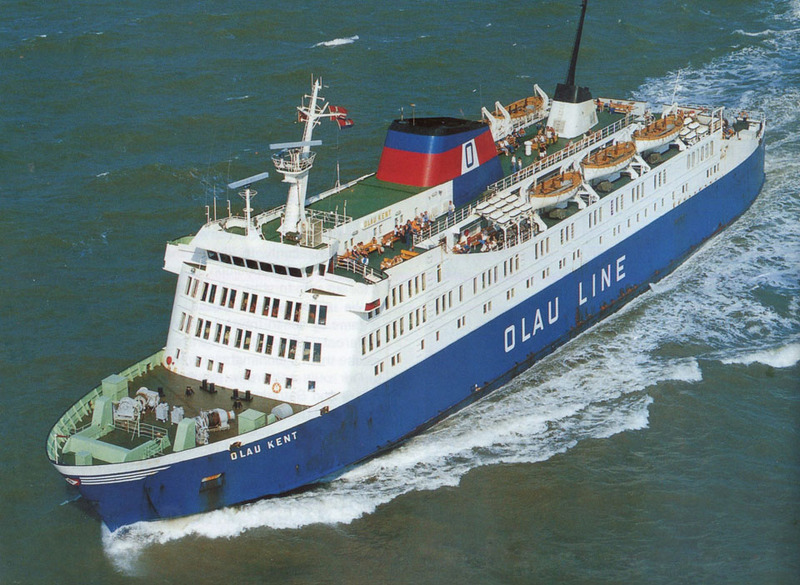 March 12th 1976: Sold to Ole Lauritzen, Denmark and chartered to a subsidiary company Olau Line A/S, Ribe, Denmark. 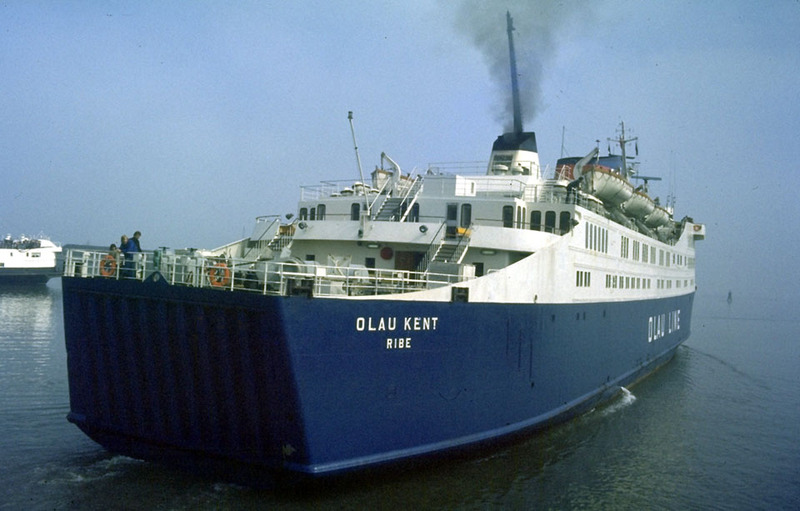 March 17th 1976: Renamed OLAU KENT. 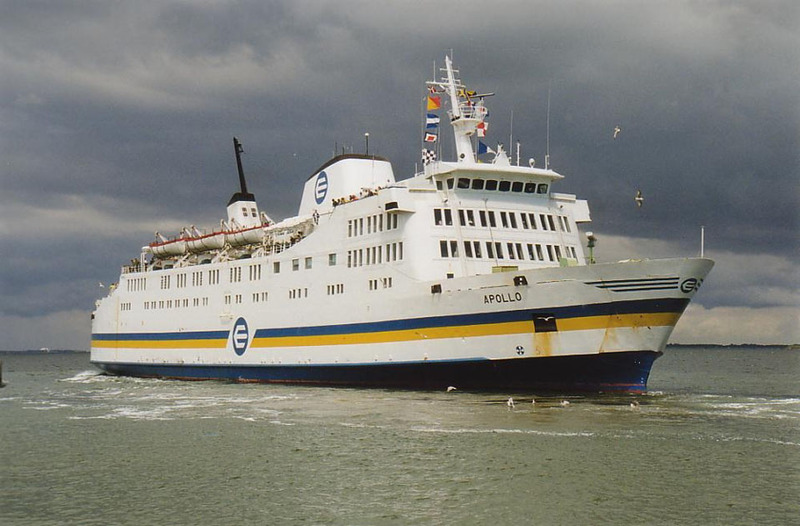 April 1st 1976: Commenced service between Sheerness – Vlissingen. December 19th 1976: Fire broke out while embarkation was taking place at Sheerness. It was quickly extinguished and, all the passengers having disembarked, there were no injuries. 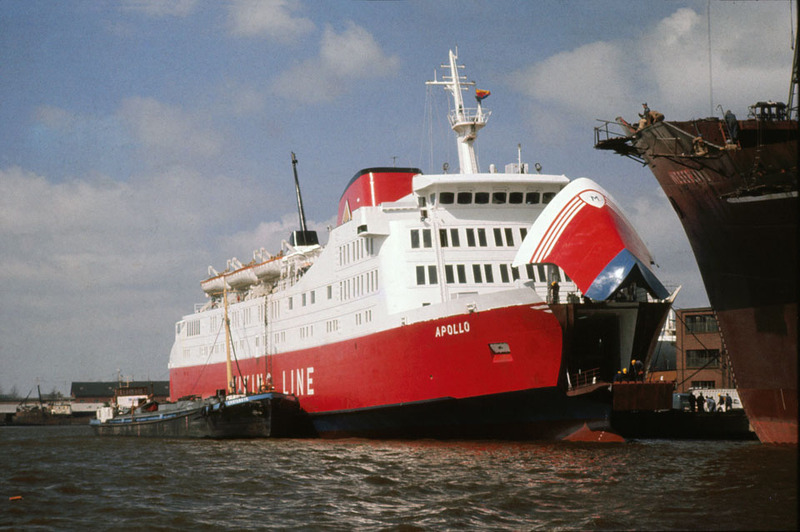 December 20th 1976: Sailed to Vlissingen where temporary repairs took place. September 10th 1980: Arrested Vlissingen because a Dutch ship’s chandler claimed he was owed money by Ole Lauritzen for supplies to the latter’s ship NUITS ST GEORGE which was operating out of Ramsgate. 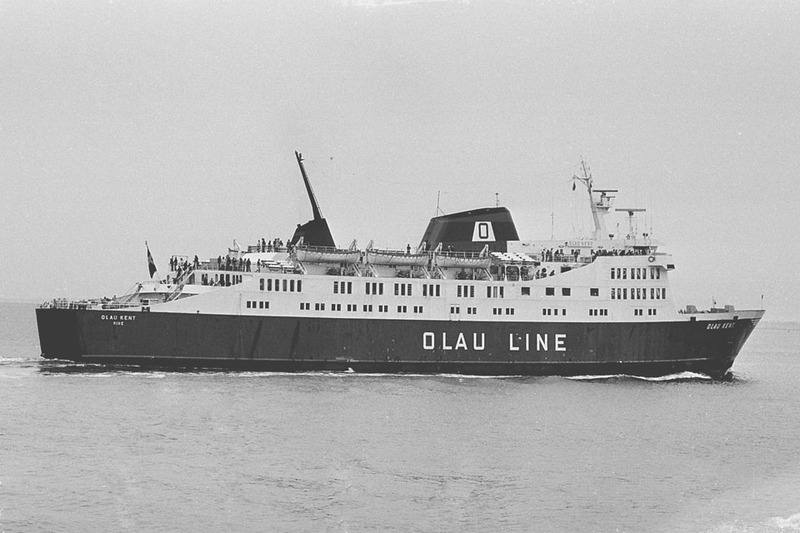 September 17th 1980: Olau gave notice of the termination of the charter of the impounded ship. October 15th 1980: Offered for sale at a Judicial Auction at the session of the District court of Middleburg on November 5th 1980. November 9th 1980: Sold to a savings bank for 40 million Danish Kroner and resold several days later for 47 million Danish Kroner. 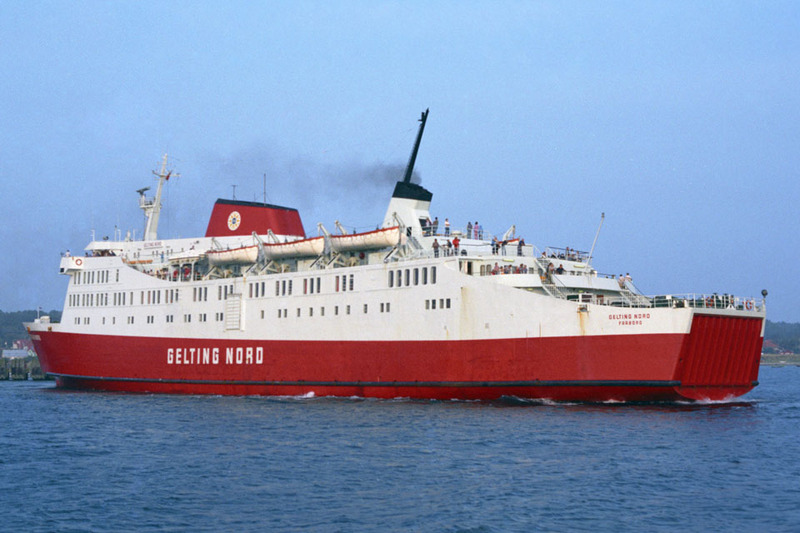 Her owners became Nordisk Faergefart A/S, Denmark and renamed GELTING NORD. 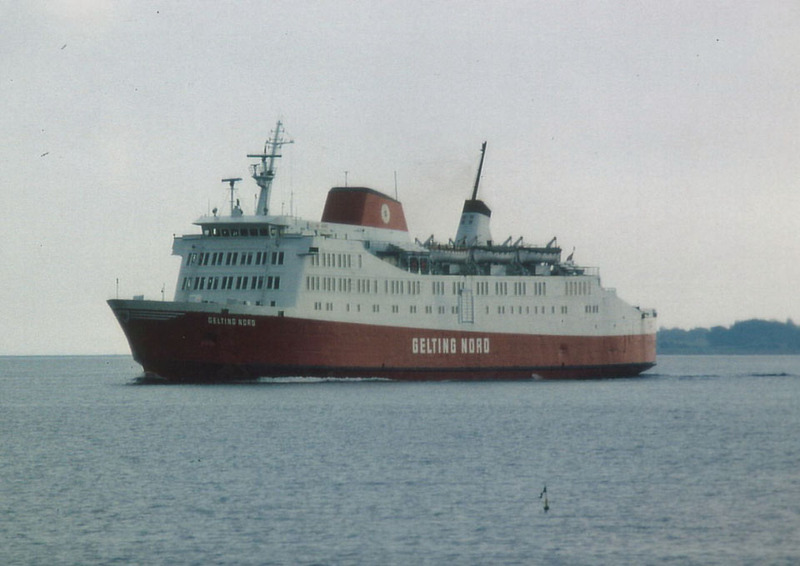 March 1981: Services between Fåborg – Gelting. 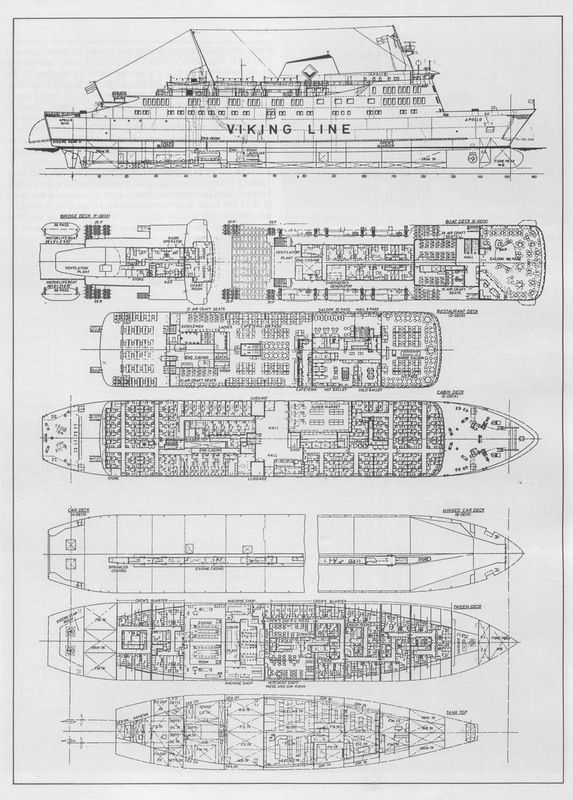 1982: Re-engined at Svendborg Varv. 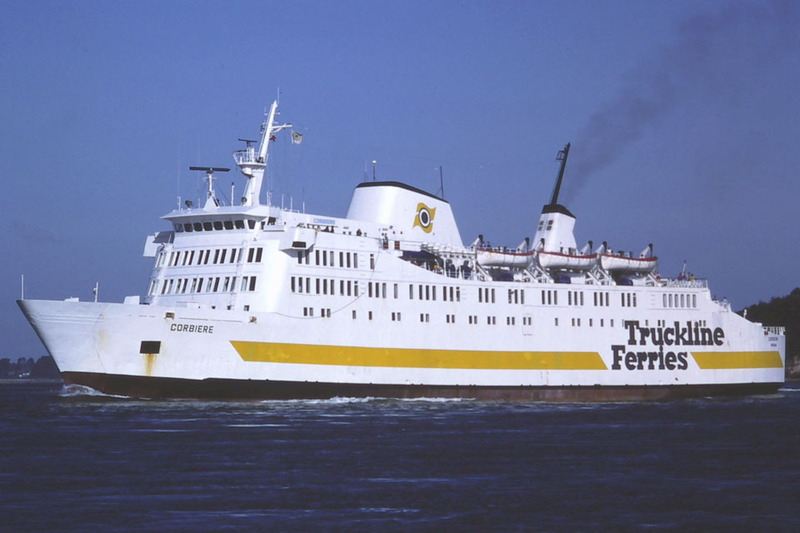 May 1st 1982 – January 1984: Services between Hundested – Sandefjord. 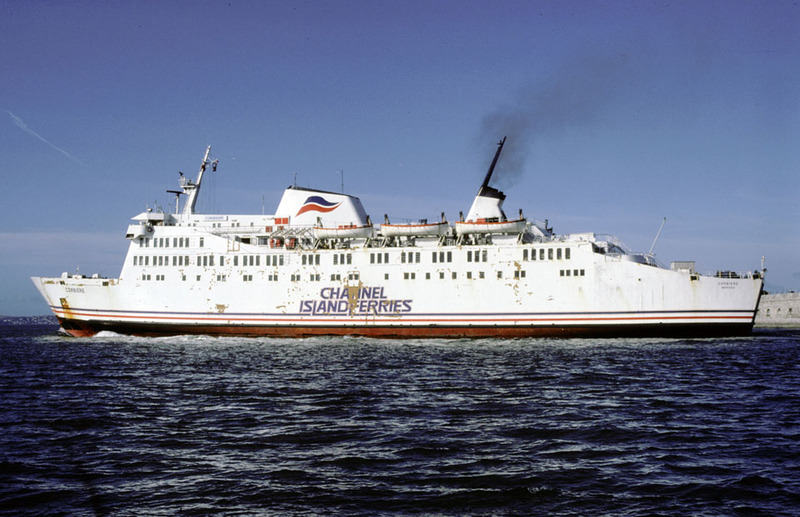 March 1984: Bareboat chartered to Brittany Ferries, Morlaix, France and renamed BENODET. 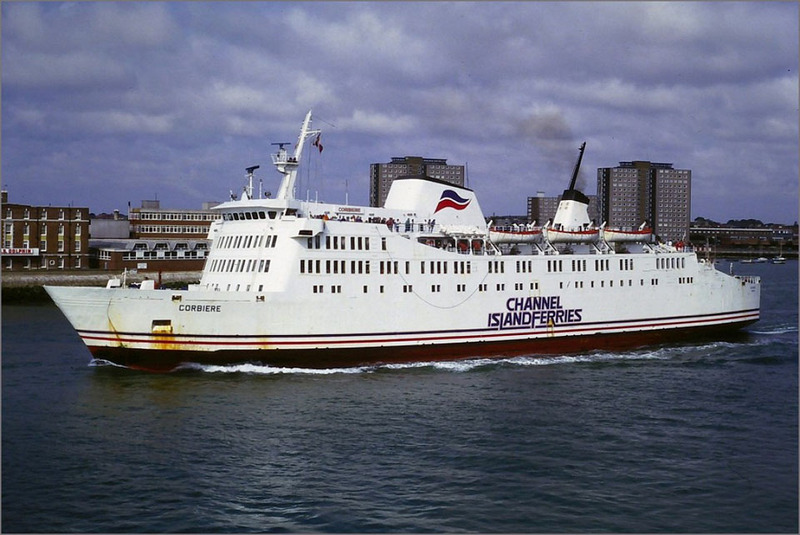 April 30th 1984: Services between Plymouth – Roscoff. 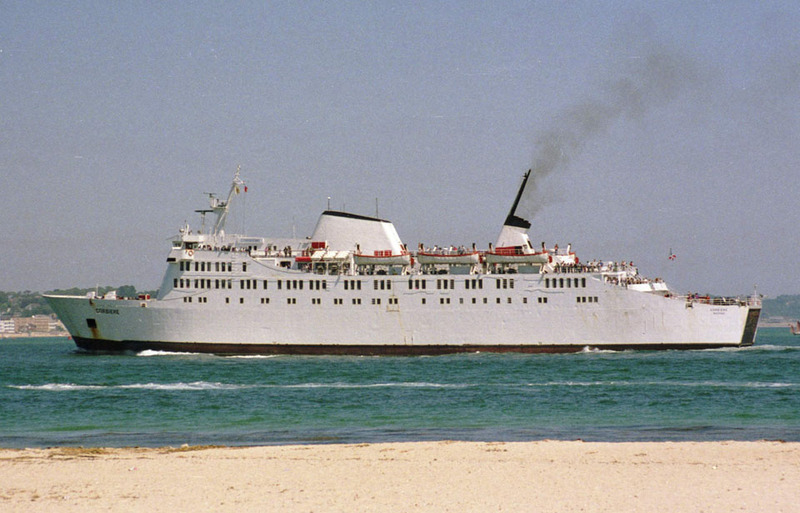 1984 (End of season): Sent to St Malo for refit. 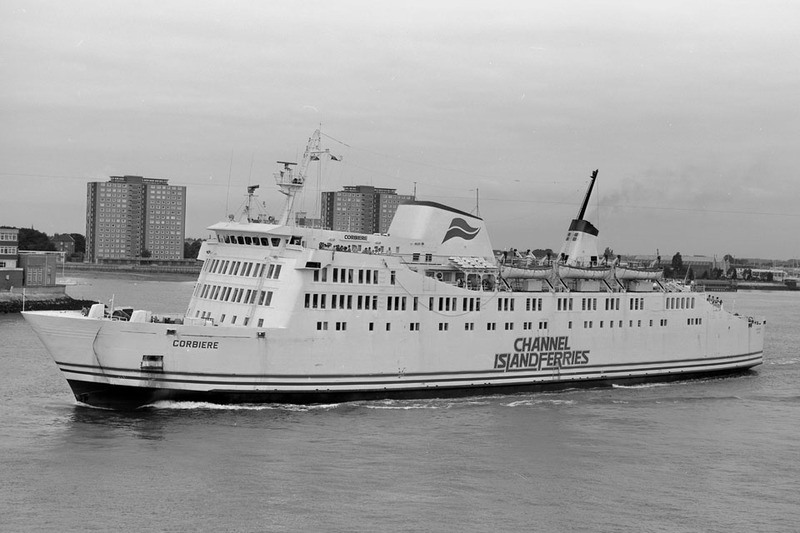 March 28th 1985: Chartered to British Channel Island Ferries and renamed CORBIÉRE. 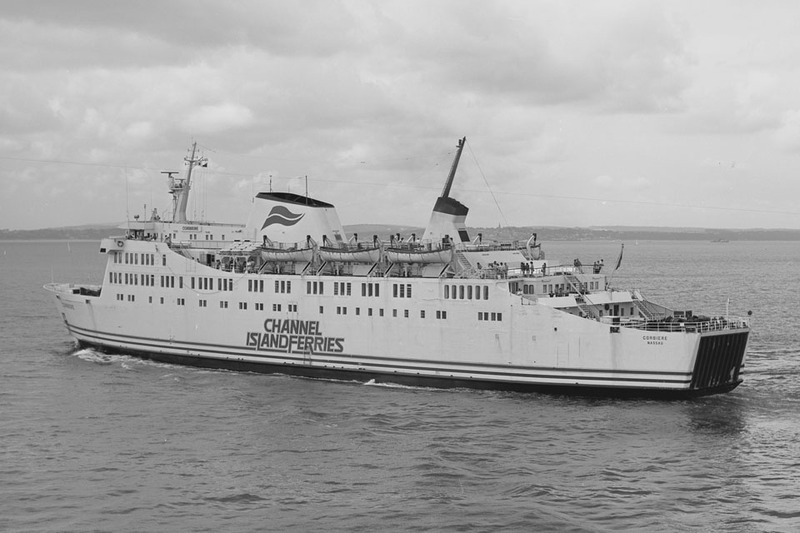 Commenced services between Portsmouth – Cherbourg. 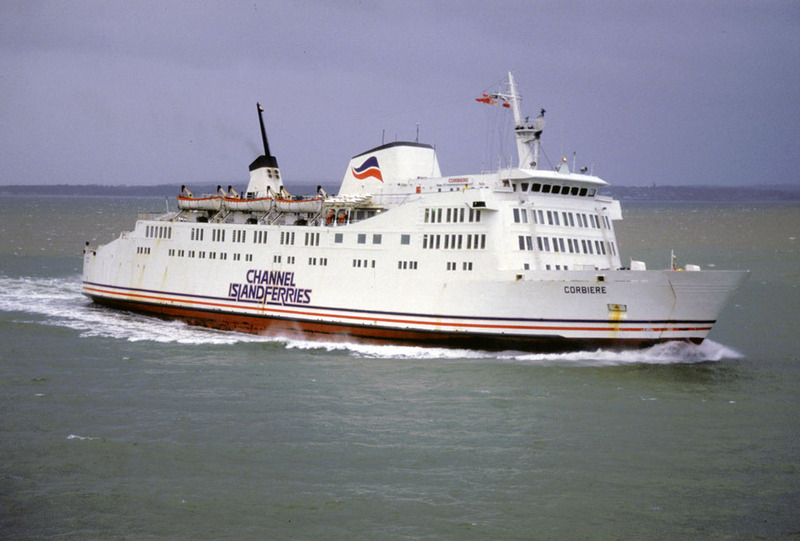 February 21st 1985 – April 10th 1989: Freight only between Poole – Cherbourg. 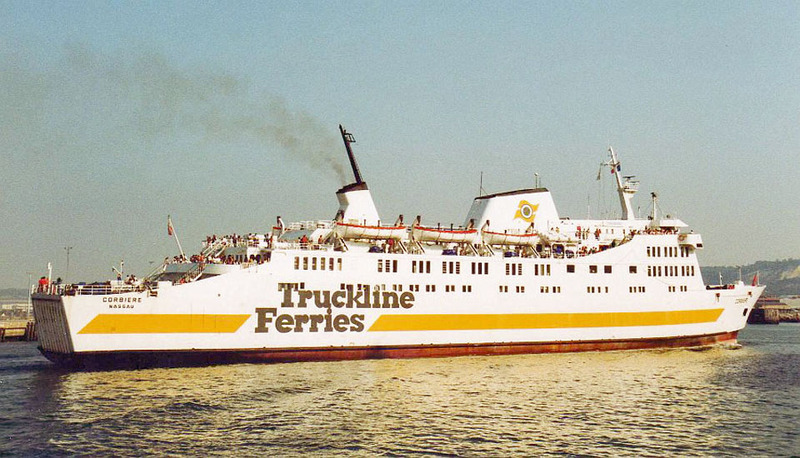 May 1989: Chartered to Truckline Ferries for services between Poole – Cherbourg. 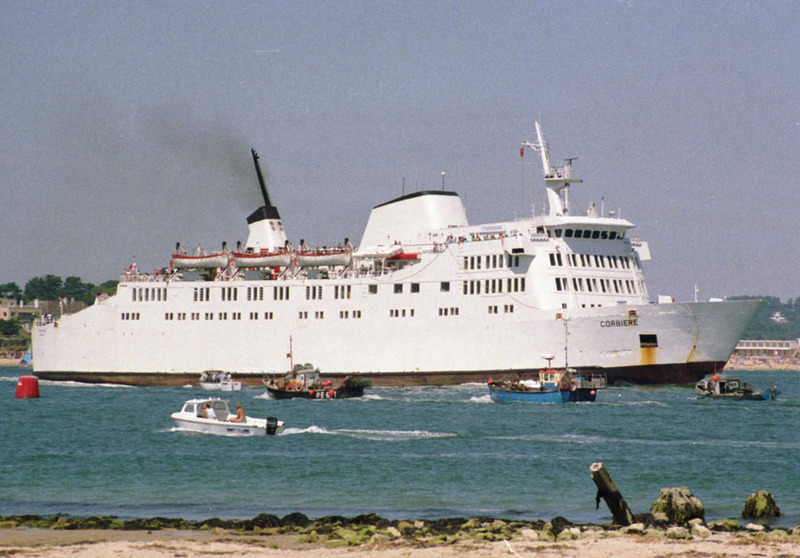 September 22nd 1991: Final day in service between Poole – Cherbourg. 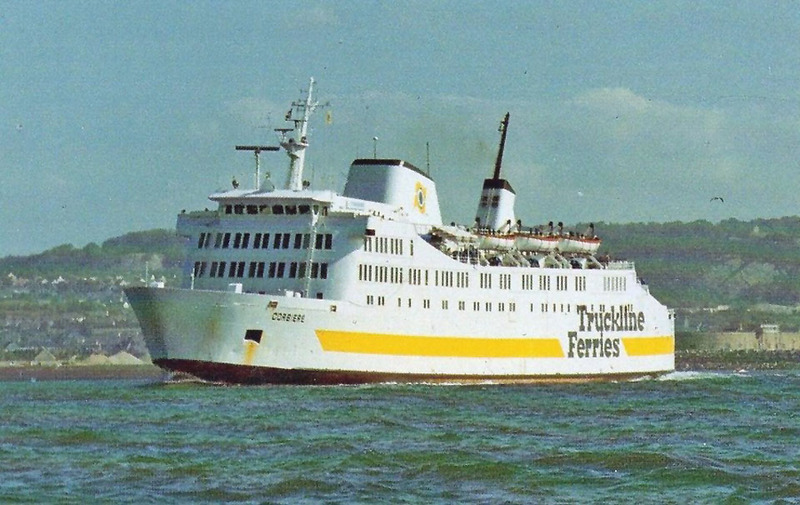 September 1991: Sold to Oy Eckerölinjens AB, Douglas, Isle of Man. Management, Commercial Centre Inreko, Tallinn. 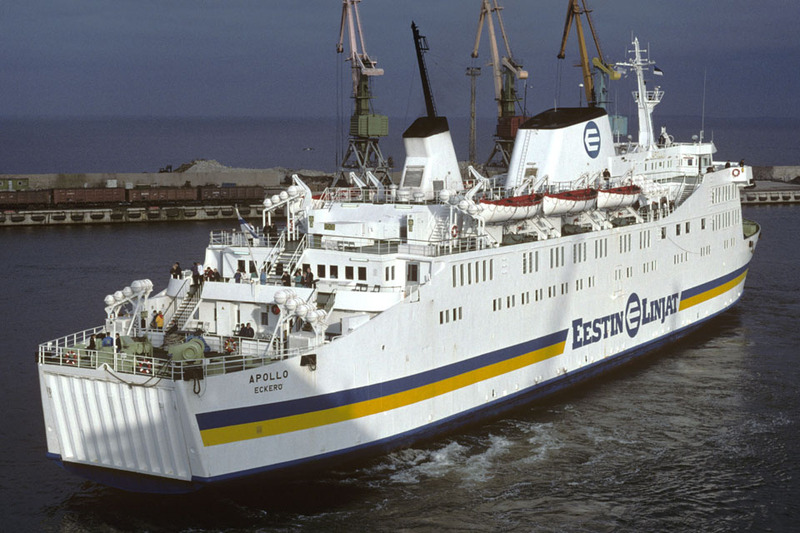 November 3rd 1991: Services between Helsinki – Tallinn for Estonian New Line and trading under the name “LINDA 1”. 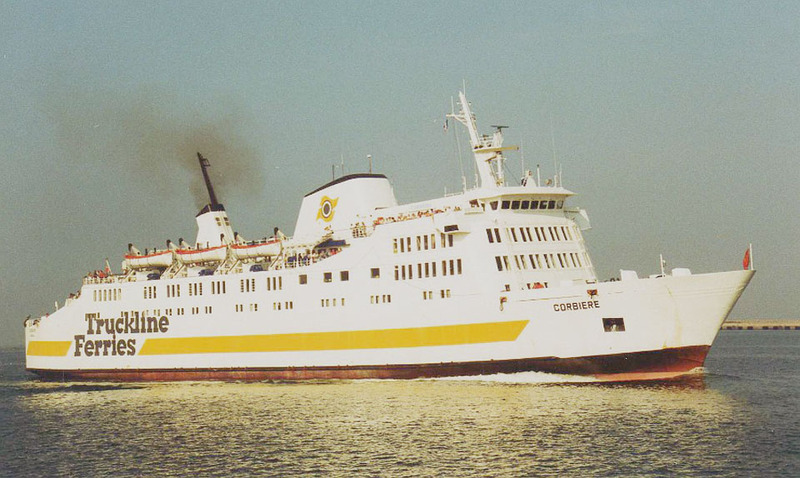 1992: Panned service by Eckerölinjen between Grisslehamn – Eckerö did not take place. November 2nd 1992: Suffered engine problems and services were cancelled. November 3rd 1992: Grounded as she moved from Sompasaari to the South Harbour in Helsinki. No injuries. 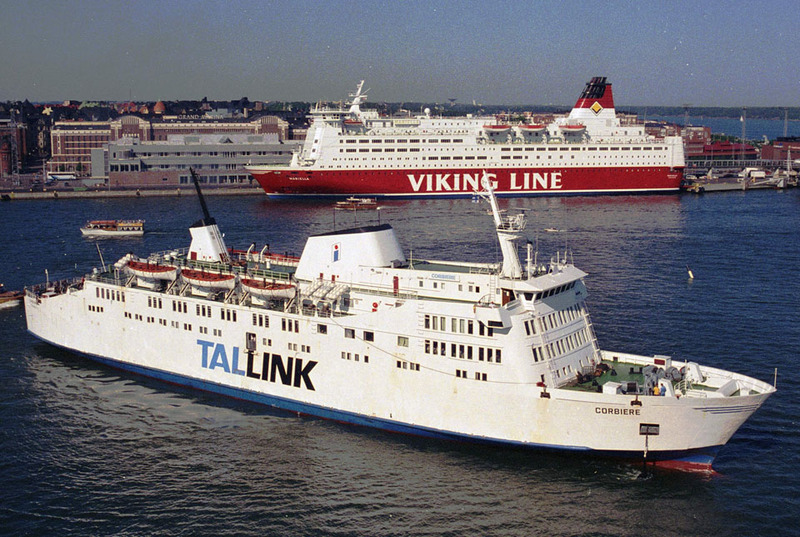 1993-1994: Various services for Estonian Lines, Tallink. 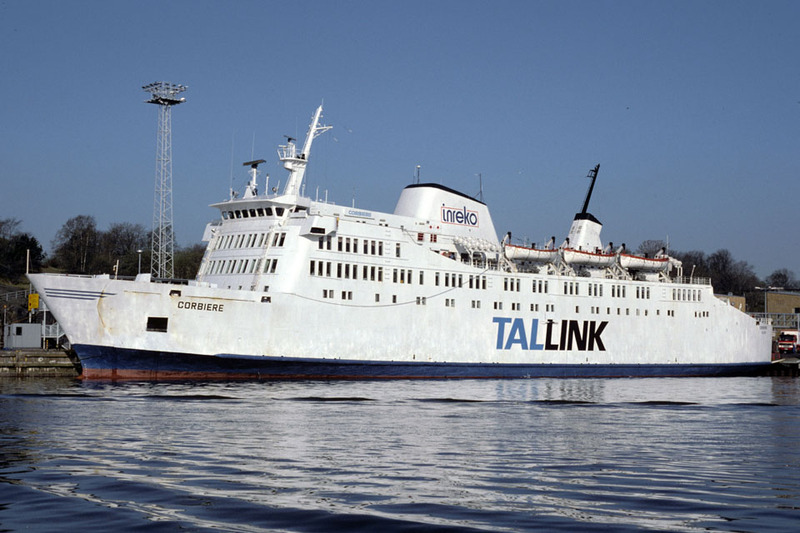 December 27th 1994: Refitted in Kotka. 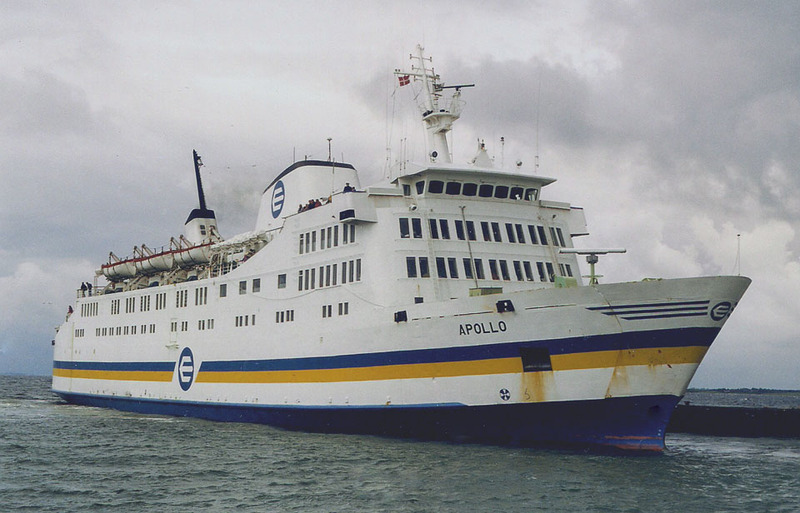 December 31st 1994: Completed charter to Inreko Laeva A / S.
April 26th 1995: Sold to Rederi Ab Eckerö, Eckerö. 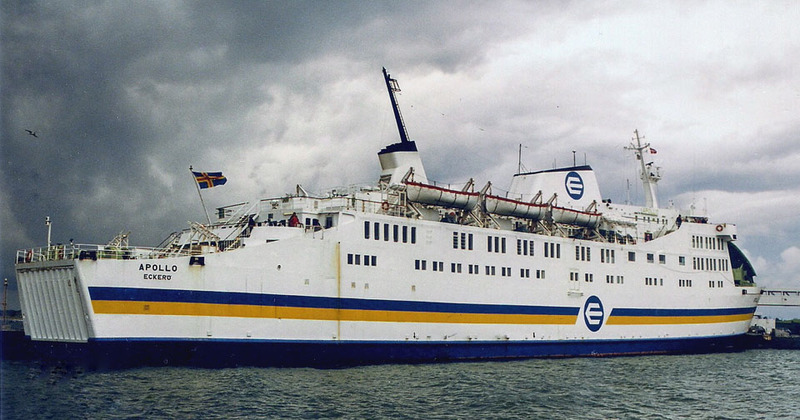 May 5th 1995 – August 19th 1997: Chartered to Eestin Linjat Oy Ab Ltd, Mariehamn. 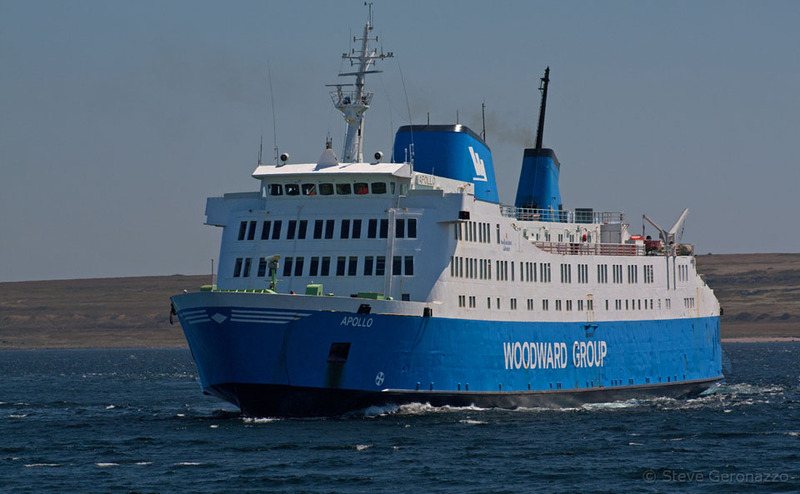 (Jointly owned by Rederi AB Eckerö and Birka Line). Services between Helsinki – Tallinn. 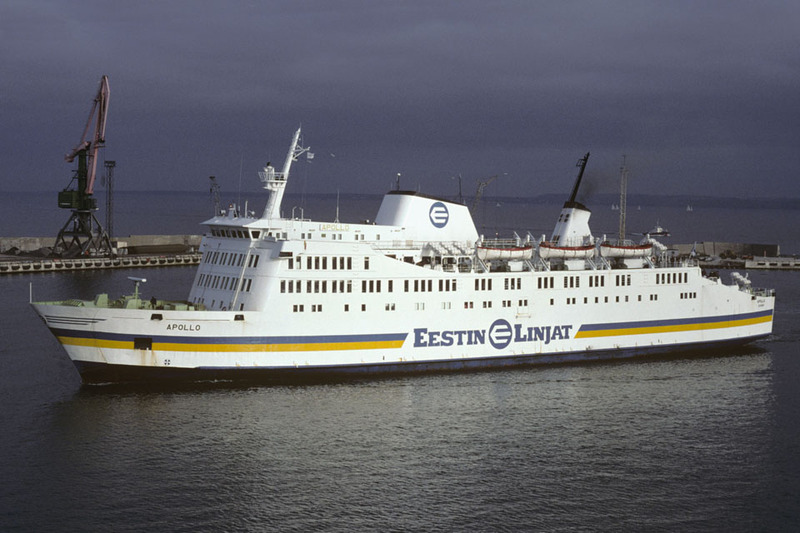 April 1996: Eckerö buys 31% of Eestin Linjat from Birka and becomes majority owner. October 1997: Laid up in Mariehamn. 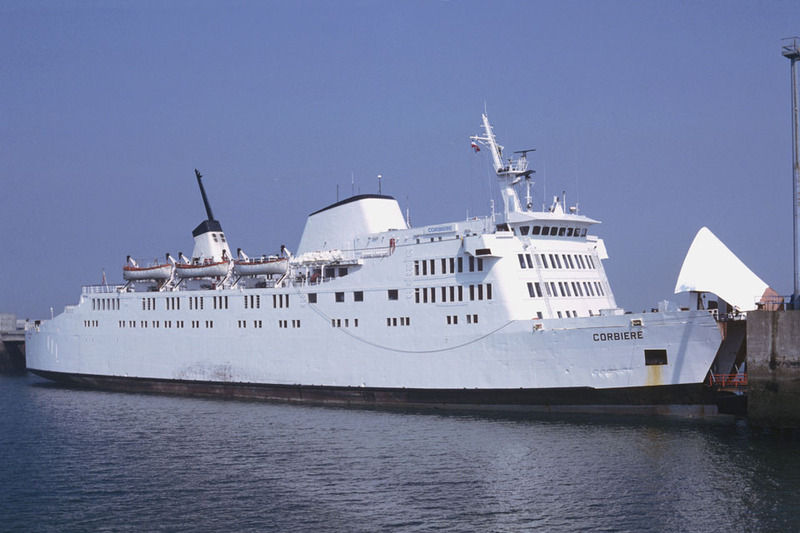 May 18th 1998: Vessel chartered for six months as a hotel ship in Vyborg, Russia for six months. 1998: During the autumn, laid up in Mariehamn. 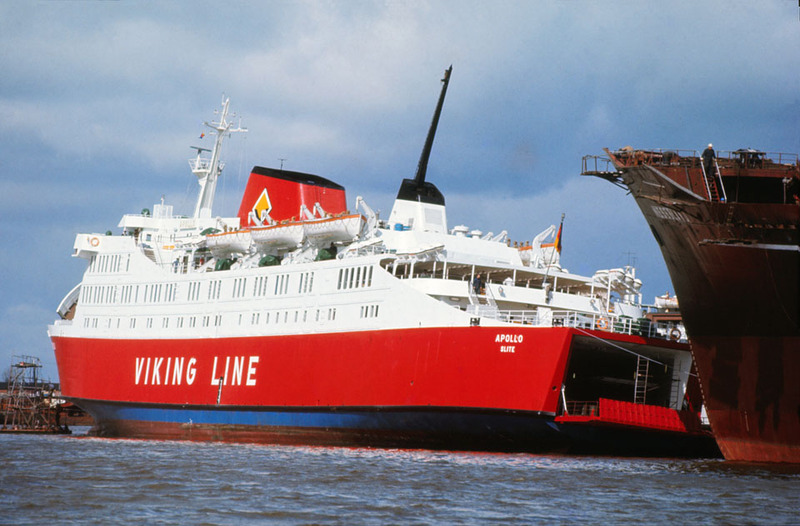 November 9th 1998 – December 1998: Chartered to Tallink as freight only for services between Kapellskär – Paldiski. February 11th 1999: Chartered to Færgefart Nordisk, A / S, Faaborg, Denmark. March 13th 1999: Stranded off Bagenenk after leaving port. Refloated by her own means and proceeded to Kiel. March 14th 1999: To shipyard for repairs to cracked bottom plating, causing water to enter into the double bottom tanks. Situation later became worse when she listed 20 degrees while berthed at Kiel. March 14th 1999: Repairs completed. 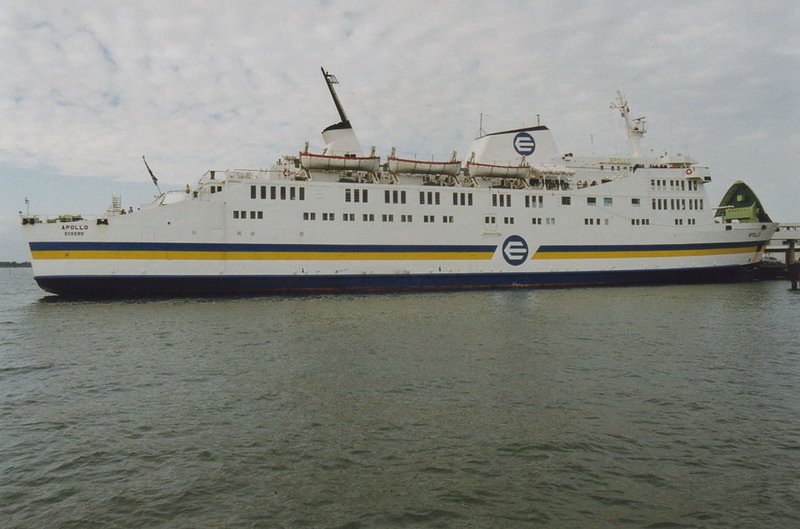 June 1999: Transferred to Rederi Ab Eckerö, Eckerö. 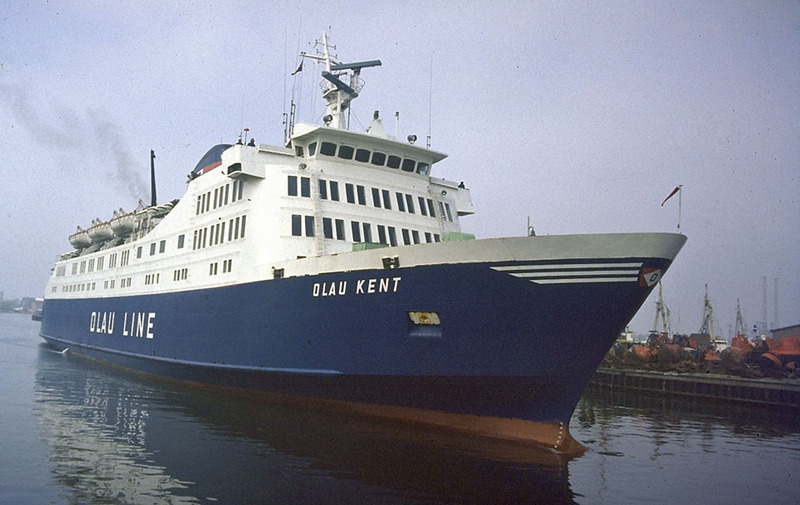 June 30th 1999: Final day in service between Bagenkop – Kiel. July 2nd 1999: Laid up in Mariehamn. January 26th 2000: Sold to Labrador Marine Inc, St John’s, Newfoundland, Canada. February 2nd 2000: Left Mariehamn for Canada. February 18th 2000: Arrived St John’s, Newfoundland, Canada. April 25th 2005: Reported a crankcase explosion in the port engine 9 nautical miles off Cape Ray Newfoundland. A small fire subsequently broke out, but was quickly extinguished. Sustained minimal damage with no reported injuries. Able to continue on her voyage. 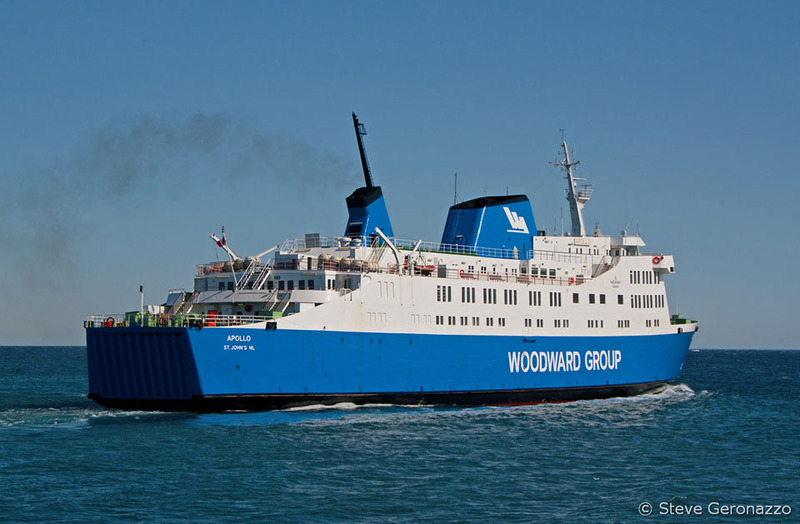 May 1st 2000: For Woodward Group services between St Barbe – Blanc Sablon. January 10th 2008: A fire broke out in the boiler room. Extinguished quickly and, after inspection, returned to service. January 17th 2019: Sold to Societe des Transversiers, Quebec for $2.12 million. January 28th 2019: Arrived in Matane, Canada. 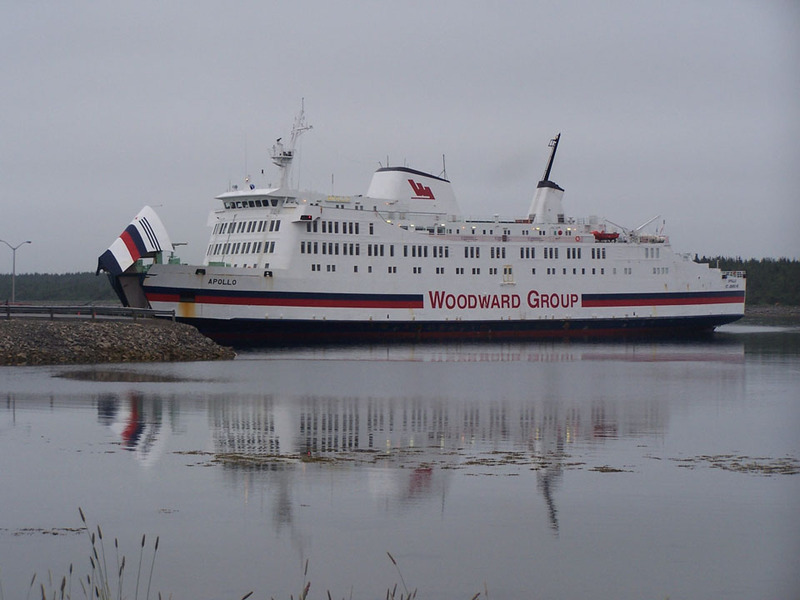 February 2019: Due to commence services between Matane – Baie Comeau, but she remained in Matane. 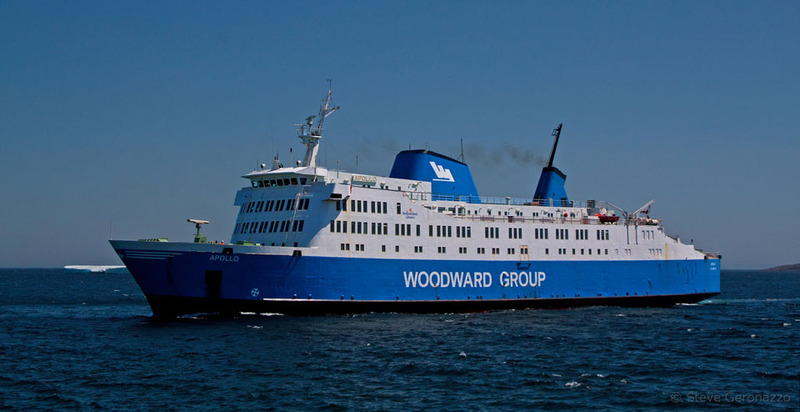 February 14th 2019: Entered service between Matane – Godbout. February 25th 2019: Collided with the quayside in Godbout. There were no injuries, but the vessel sustained damage to her hull/bow visor (hole approx 3ft x 6ft). The matter will be investigated by the Transportation Safety Board. March 16th 2019: During strong winds, struck the quayside in Matane. There were people on board, but no one was injured. Damage was caused between the bow door and hull. “After those two incidents, the shipping company indicated that the ship would no longer sail: the risk of further damage would be too great. The ship was taken away for investigation. 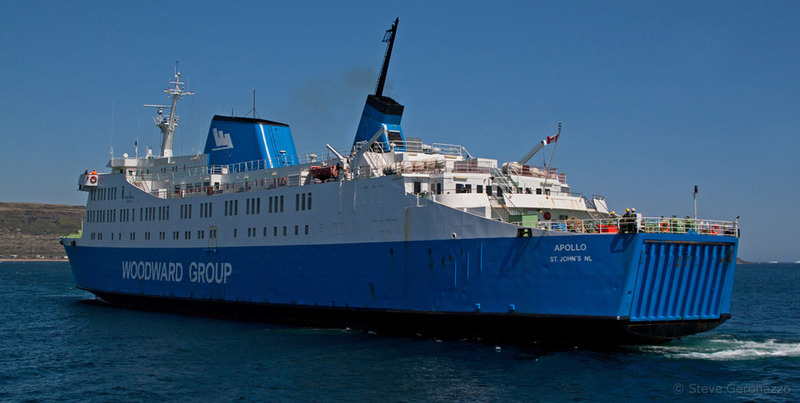 Other damage came to light during that investigation, researcher Francois Dumont told The Canadian Press. 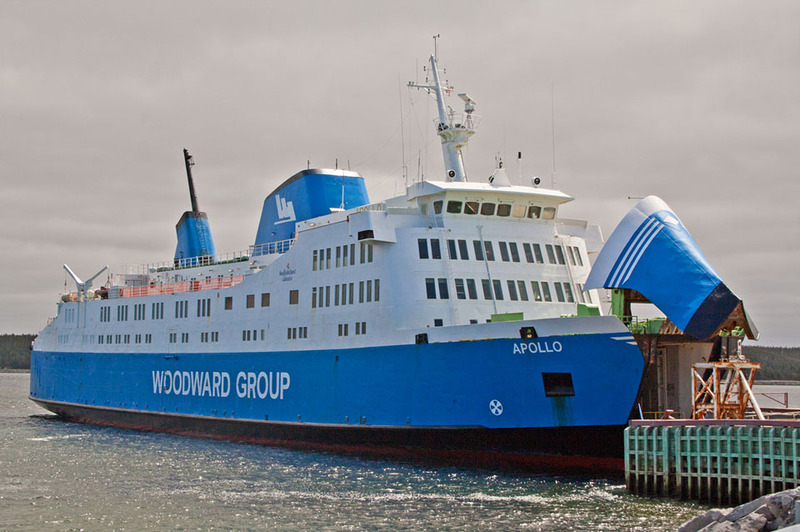 He suspects that the ship sustained that damage in the Strait of Belle Isle, also in Canada, where the Apollo was active almost twenty years before as a ferry. There would be problems with the watertightness of the hull, but also the fire protection and rescue equipment was not in order. “There is serious doubt about the seaworthiness of the ship.” The researcher says that the safety of passengers and crew has been at stake. All information is believed to be correct and no responsibility is accepted for any errors or omissions. All items included in this article are subject to © copyright. We would like to take this opportunity of thanking: Brian Fisher, Tony Garner, Steve Geronazzo, Frank Heine, Patrick Hill, Pieter Inpyn,Richard Seville, Simonwp, Tim Vogel and Andreas Wörteler for their assistance in producing this feature.